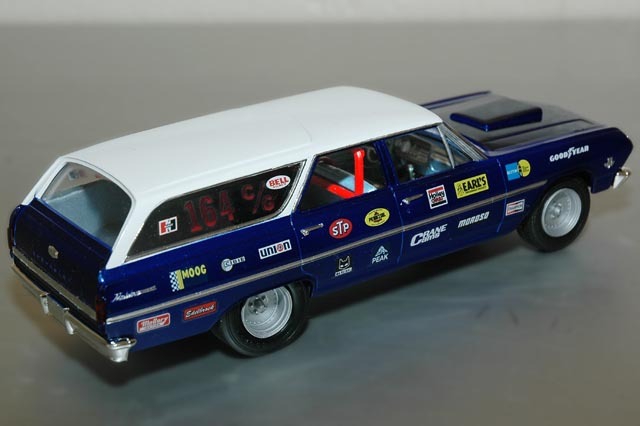 Ron built his AMT/ERTL # 31219 Chevelle wagon mostly from the box. He sourced the wheels and tires from an AMT/ERTL 1955 Chevrolet sedan kit. The roll cage is a partsbox find.